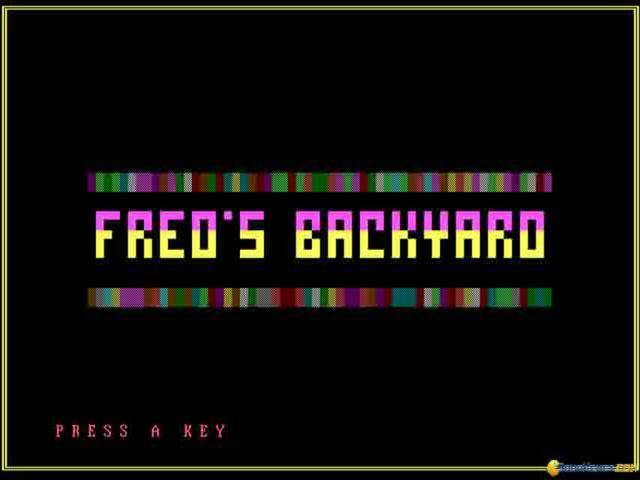 Fred's Backyard is most definitely a bit different from most text adventures such as Zork and Guild of Thieves, but one thing it shares with many from the genre is its sheer frustrating obtuseness and which makes it best suited to genre veterans. 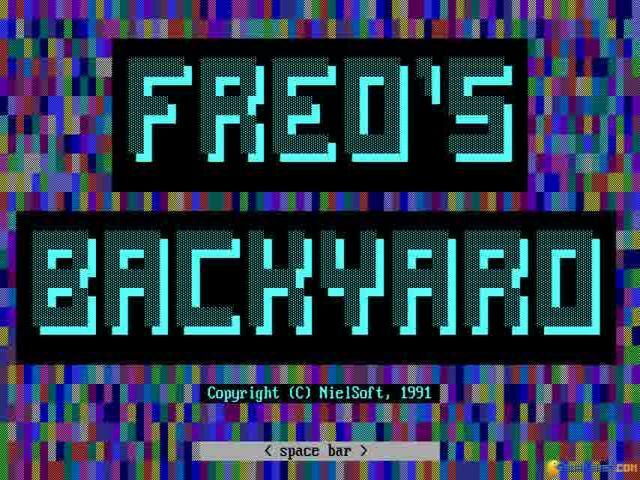 The rather mundane storyline finds you in a mysterious backyard, with no real explanation as to why you are there or what you must do. 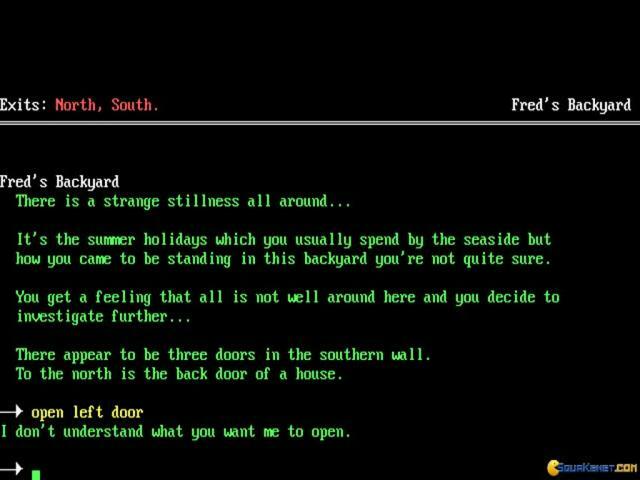 However, a bit of exploring soon reveals that the titular Fred is in the clutches of an evil sea monster and it's down to you to save him from a terrible fate. 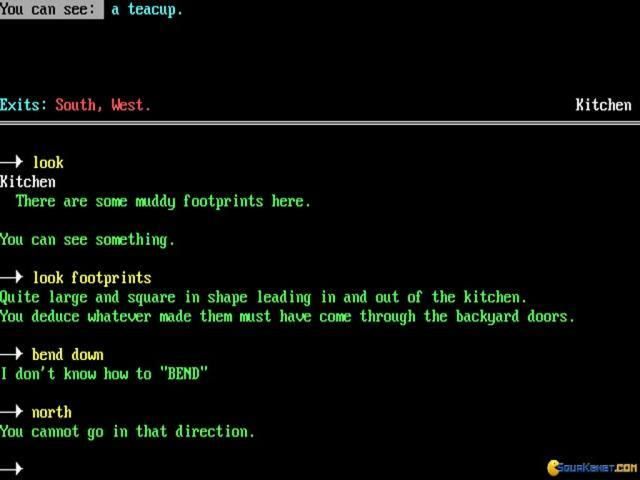 This basically translates into a fairly standard text adventure which requires you to venture to all the available locations, solving some typical puzzles which largely require the correct use of the various objects which you will find. There are also some quite enjoyable mathematical puzzle variations too to add to the challenge and these are perhaps the most interesting part of the game. Everything else on display here is very much run-of-the-mill but a few problems prevent this from even being ordinarily enjoyable. The first is that the writing is rather dull, with little in the way of shine to make it stand out from the crowd, and while the odd storyline is quite engaging, it is let down by the lackluster descriptions and dialogue. 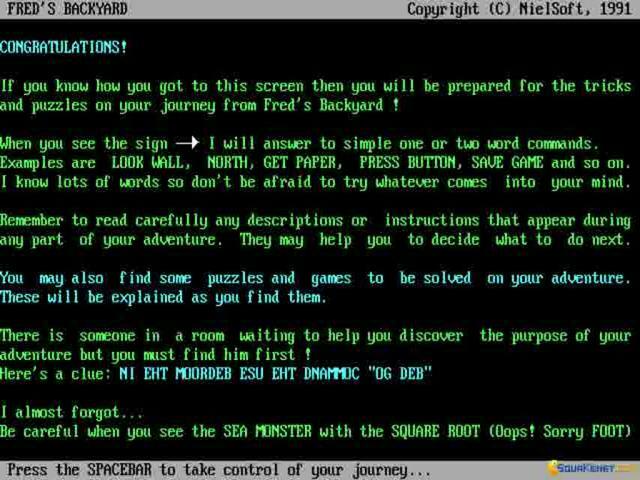 A bigger issue though is that the parser is so incredibly crude that many of the puzzles are ridiculously hard to solve, simply because the game doesn't recognize some very basic commands. 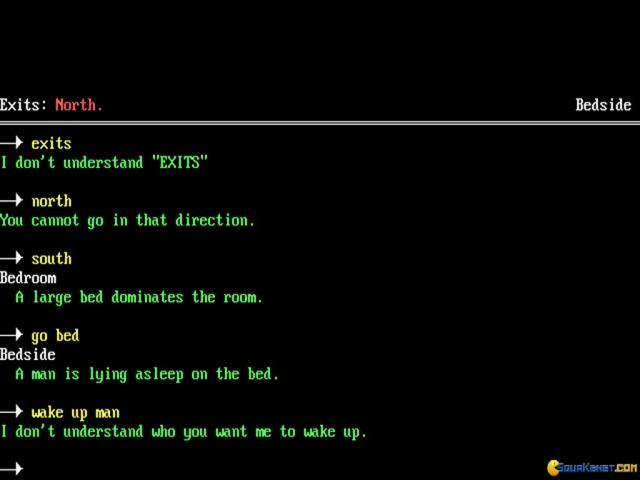 You thus spend a lot of time trying to figure out the precise way to phrase a command in such a way that the game understands, which gets frustrating very quickly and which makes the game hard to wholeheartedly recommend.